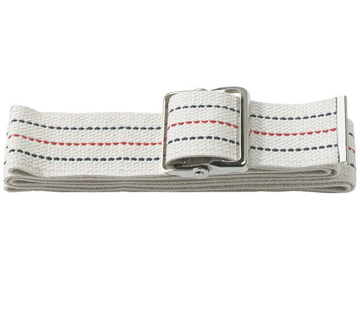 This 100% cotton belt with metal buckle can be used for mobilizing and transferring patients. Available in Black, Blue, Hot Pink, Purple, Royal, and Dotted White. Length: 58". 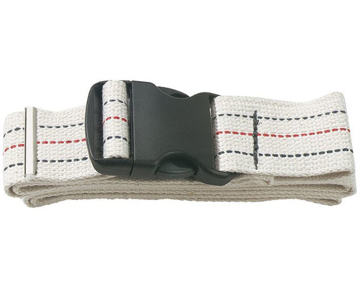 This 100% cotton belt with plastic buckle can be used for mobilizing and transferring patients. Available in Dotted White only. Length: 58". 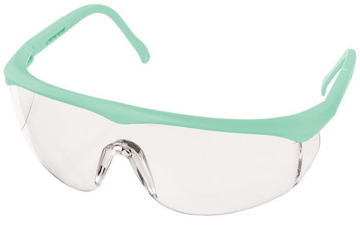 These protective glasses with adjustable temples are anti-fog, anti-static and anti scratch, features polycarbonate lenses that meet ANSI Z87.1 standards, and protects against harmful UV rays. Available in nine colors. 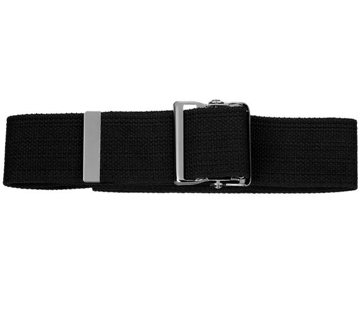 This 100% cotton belt with metal buckle can be used for mobilizing and transferring patients. Available in Dotted White only. Length: 72". 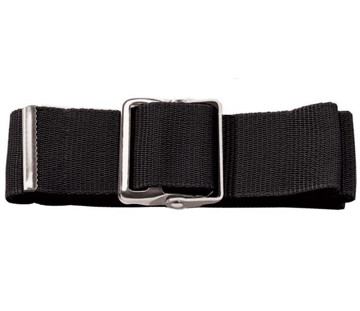 This heavy duty nylon gait belt with metal buckle can be used for mobilizing and transferring patients. Available in Black, Hot Pink, Purple, and Royal only. Length: 58". 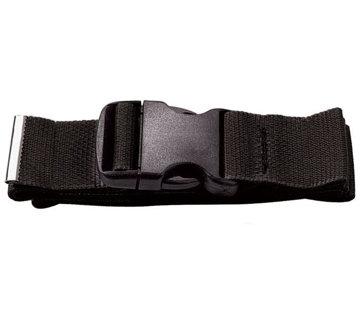 This heavy duty nylon gait belt with plastic buckle can be used for mobilizing and transferring patients. Available in Black, Hot Pink, Purple, and Royal only. Length: 58". 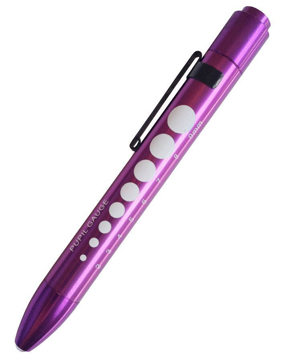 This penlight is push-button activated and features metal construction, soft LED illumination and includes one AAA-battery. It also features a pupil gauge imprint on the side. Available in Black, Hot Pink, Purple, Red, Royal, Silver, and White. 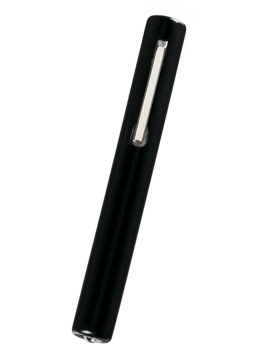 This standard disposable penlight is clip-activated, and features plastic construction and standard illumination. Available in Black, Burgundy, Ciel, Hot Pink, Navy, Purple, Royal, Teal, White, and Neon Yellow.